Whetstone's lawyers called former Uber exec Eric Alexander's lawsuit an effort "to discredit a well-respected female executive." SAN FRANCISCO: Rachel Whetstone, the former communications chief at Uber, has refuted charges that she smeared an executive at the ridesharing company or sought his termination, according to court documents filed earlier this month. The allegations against Whetstone emerged in September, when Business Insider reported Uber’s head of business development in Asia, Eric Alexander, was suing her. Alexander was fired in June 2017 for inappropriately obtaining the medical records of an Uber passenger who was sexually assaulted by her driver in New Delhi, India, according to Recode and Bloomberg. But in his lawsuit, Alexander claimed Whetstone spread stories about him that led to his termination, breaking a non-disparagement agreement she signed with Uber and Alexander. Whetstone's lawyers disputed Alexander's claims in a motion filed earlier this month. "This lawsuit is an effort by [Alexander] to discredit a well-respected female executive," the motion stated. "To suggest that [Alexander] was terminated by Uber for any reason other than his own actions is untrue – as are claims that [Whetstone] harbored a grudge against [Alexander] over his alleged higher status at the company." Whetstone reported to then-CEO Travis Kalanick, who called her "a force of nature," in an internal memo when she resigned as SVP of comms and public policy in April 2017. 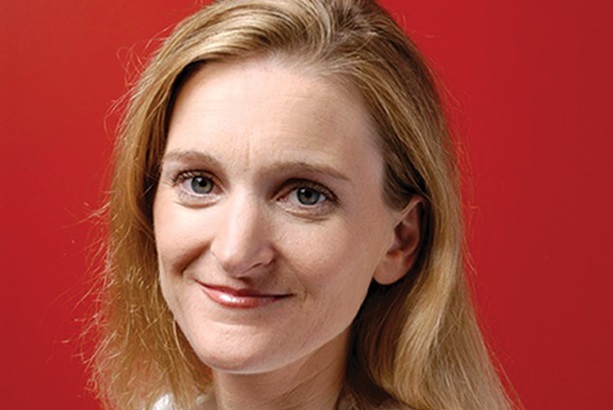 She’s now the chief communications officer for Netflix. In response to the public lawsuit, Whetstone filed the motion to compel arbitration, which is "the exclusive means of resolving any dispute" under her separation agreement with Uber, according to court documents at the Superior Court of San Francisco. Whetstone rebuffed one of the more explosive accusations from Alexander that she made racist statements about minority groups. "[Alexander] raised this issue [of race] just once with [Whetstone] – to complain that [Whetstone’s] reluctance to let him attend government meetings in India demonstrated her ‘racism against white people,’ a complaint [Alexander] repeated to another Uber employee," the motion said. The motion boiled down Whetstone’s feud with Alexander to the way the latter "blurred the lines between business development and government relations in Asia." It also claimed Alexander acted aggressively toward her while intoxicated. "During one such disagreement [Alexander], who had been drinking, was so aggressive towards Whetstone that two colleagues had to intervene to calm him down," according to the motion. It remains unclear as of press time who those colleagues are. Whetstone is represented by Angela Agrusa and Tamany Vinson Bentz, partners at DLA Piper LLP in Century City, Los Angeles. Alexander’s legal team is comprised of Quinn Emanuel Urquhart & Sullivan lawyers, including partners John Potter and Robert Feldman and associates Victoria Parker and Ella Hallwass. Agrusa and Bentz cited a number of reasons to compel arbitration. Alexander’s allegations relate to Whetstone’s separation agreement, which includes non-disparagement clauses involving her, Uber, and three unnamed executives. It remains unclear as of press time who those executives are. Sections of the separation agreement were redacted. In the motion, Whetstone’s lawyers also said Alexander can’t claim he’s entitled to recover damages as part of the agreement while repudiating an arbitration clause in the same agreement. Finally, they pointed out his "irrelevant and defamatory allegations" as evidence he can’t "responsibly litigate a lawsuit in a public forum." A hearing for the motion will be held on December 4, 2018. Neither party responded to requests for comment as of press time. Netflix wasn’t immediately available for comment.